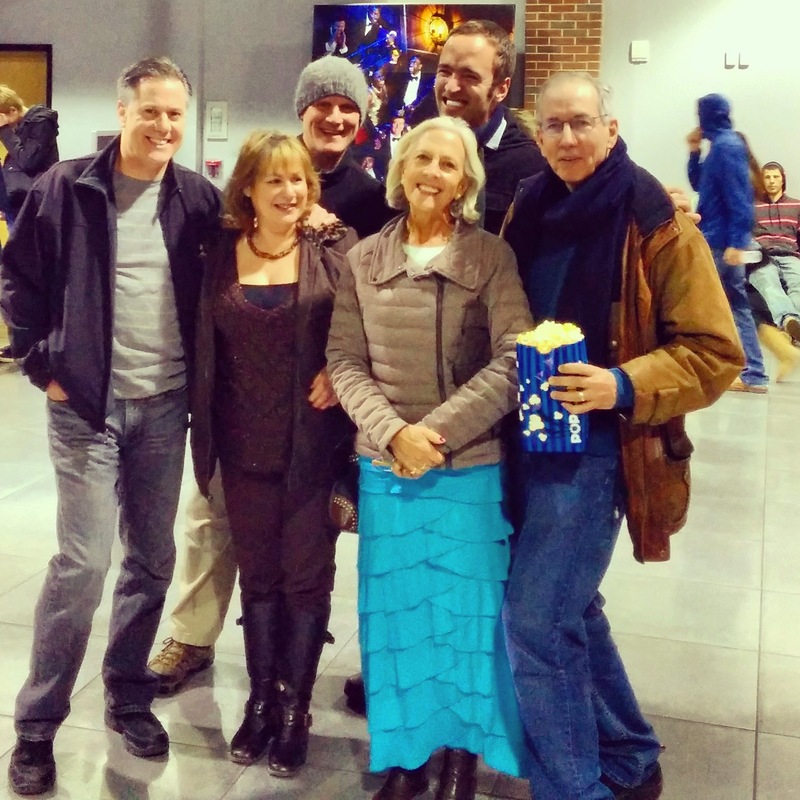 My Thanksgiving visit back to Delaware (my adopted home state) included a return visit to downtown Wilmington’s Penn Cinema Riverfront, which opened with much fanfare in late 2012 as it brought the first IMAX screen to Delaware. At the time in my handful of early visits there, I felt like the cinema might have been rushed into opening and some interior aspects seemed unwelcoming or unfinished. I was happy to see a brighter interior this time around and fully functioning poster displays outside each auditorium. However, I still don’t understand why the cinema never constructed a separate ticket kiosk; it continues to awkwardly funnel customers into making their purchases at the concession stand. 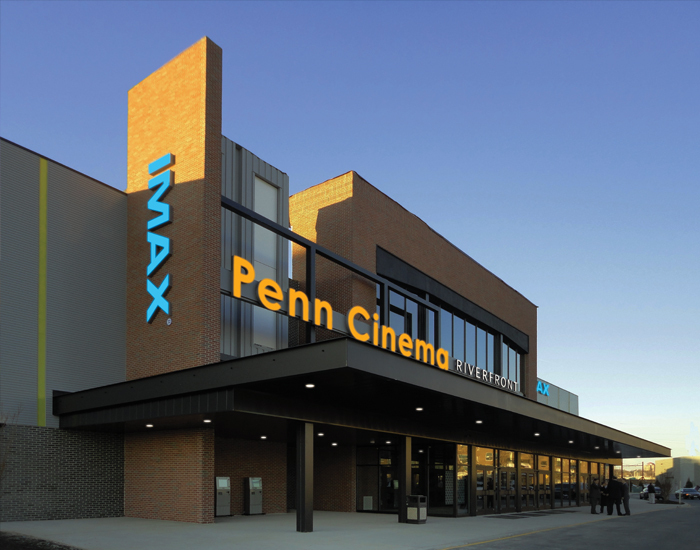 That being said, it’s great that Northern Delaware now has more moviegoing variety between this complex, the just – opened Cinemark complex at the Christiana Mall, a year – old complex in Middletown, and older complexes in Glasgow, Newark and Brandywine Hundred. The smaller scale Theatre N also soldiers on in downtown Wilmington. Our feature of choice was The Theory of Everything, a recently released biopic chronicling a segment of the life of Stephen Hawking, well – known scientist and professor, as seen through the eyes of his first wife. It can’t be easy to construct a film structured around someone’s LIFE STORY and condense it down to around two hours. The script of the film suffers from a few too many montages meant to depict Hawking’s different stages of life and familial growth. A more interesting approach might have involved focusing on a few key events, without having the sense of rushing from point to point. The strength of this film lies in its performances, most especially with British actor Eddie Redmayne as Hawking. The actor so completely inhabits the real person that I felt like the lines between performance and life had fallen away. Hawking himself was reportedly so impressed by the portrayal that he allowed the filmmakers to use his copyrighted real voice. He is expectedly matched by Felicity Jones as Jane Hawking, who believably matures over the course of the story and gives a strong sense of the emotional and psychological challenges her marriage develops. Jane also faces a long stream of “what might have been or could be” thoughts, which eventually culminates (no spoiler here) in the dissolution of their marriage. A modest supporting cast includes veteran David Thewlis as Stephen’s academic mentor, Charlie Cox as a family friend who becomes intimately involved with their life, and brief cameos from Simon McBurney and Emily Watson, among others, as older relatives. The film is well – made; director James Marsh was also responsible for the documentary Man on Wire a few years back. But several narrative flourishes, most notably seen in an early sequence involving blue and white lighting and a dreamlike atmosphere, disappear as the film settles in to a more conventional narrative. A music score by Jóhann Jóhannsson does add nuance throughout the length of the story. So, the film is unavoidably a mixed bag… but I would still say it is worth seeing for the power of the real – life story and intense commitment of the performers and the filmmaker. Posted on December 6, 2014, in Movies and tagged british actors, cambridge uk, christiana mall, delaware, delaware moviegoing, eddie redmayne, emily watson, family, felicity jones, stephen hawking, wilmington delaware. Bookmark the permalink. Leave a comment.